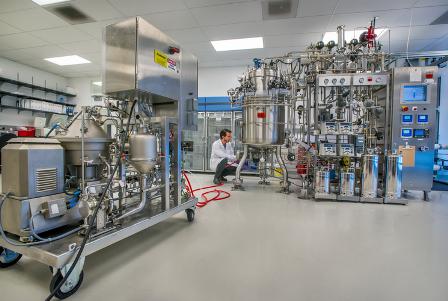 US startup Mango Materials is testing a new process for biodegradable plastics at Lawrence Berkeley National Laboratory's Advanced Biofuels Process Demonstration Unit. By using bacterial fermentation process, the startup is engaged in the development of an intracellular biopolymer called polyhydroxyalkanoate from methane. The technical process will enable to produce polymer similar to polyethylene and polypropylene plastics, which are used in everyday products. Plastic is mostly used in grocery bags, shampoo bottles, furniture, in addition to the microbeads in some toothpastes and facewashes. They will not get easily disposed and settles in landfills, oceans and other places, creating harm to the environment. Mango Materials’ process will enable to create biodegradable and petroleum-free material that can replace persistent plastics. Under the process, the methane will be used as a feedstock rather than genetically modifying bacteria, providing new way for polymer producers to produce better products. The process also helps to turn carbon into a high-value material, as the required technology will be placed at the site of methane production. Mango Materials CEO Molly Morse said: “Plastics are used everywhere and many people do not think about what happens to them when they are no longer needed. Instead of accumulating in the environment, they will degrade in a short amount of time. “Just imagine a polymer that can be digested by sea life…instead of tangled around their necks or stuck inside their stomachs. Image: Mango Materials is testing bacterial fermentation process to produce biopolymer from methane. Photo: courtesy of Berkeley Lab.